Ancient historical cultures all over the world are of interest to modern day archaeologists. Archaeology by definition is the study of past human life as revealed by relics left by ancient peoples. Even though the cultures didn’t leave any writings, pictographs, or ideologies of their past, we can sometimes find something that will bring them to life in other ways. Archaeologists like delving into history of past cultures, some of them do it for the prestige, some of them do it for their own past thru their descendants and some of them do it for the collection of relics they can obtain. 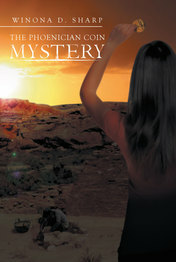 The Phoenician Coin Mystery follows Jacy, an archaeologist who is investigating the Chaco Canyon Grid, and whose discoveries lead to an interesting exploration into the culture of the Phoenicians, whose way of life remains a mystery to this day.